More than 15 years' professional experience of the strategic tax planning, accounting, business structure consulting, asset managements, hotel managements and real estate finance. Strongly motivated with the development of real estate and commercial buildings for growing assets for the clients. Initiated hospitality career to struggle against the Not-To-Do lists operated by the many hotel management companies and managements not being on behalf of the property owners. 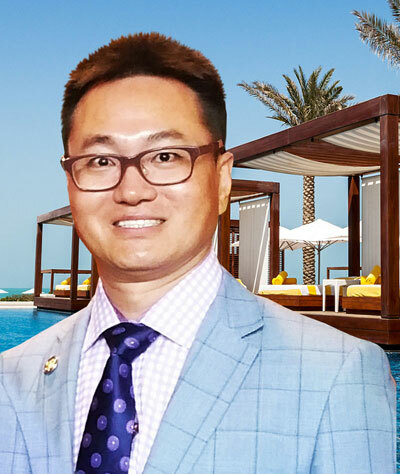 From Real Estate to strategic tax planning, business consultant in asset management and hotel management, Robert Cho brings his wealth of knowledge and experience he has gained during a successful career of over 15 years leveraging diverse and global business and financial advisory expertise. Robert has been dedicating supporting the clients' overall financial structure to make them secured and prosperous with their growth on assets and be secured with the proper and friendly management. Robert's specialty is to combine all tools and experts to solve all kinds of problems and drive them to the opportunities with the broadly experienced global experience and networks. Robert can help your company grow and secure its assets by supporting the overall financial structure. The dedication and support he has for his clients in order for them to prosper and grow together are immense. He has been able to effectively and efficiently assist with finding and solving solutions. His current and past clients entail global businesses and policy makers in the U.S. and Korea. Robert has finished MBA degree in real estate and BS in the accountancy. Robert is married and is enjoying the life with a daughter and a son. He is devoted to his wife, daughter and son while enjoying the life he is part of. And Robert is also devoting time and passions tirelessly to contributing sincere gratitude for Korean War veterans in US and Korea. By dedicating his gratitude to Korean War Veterans, he is the Secretary General for the U.S. and Korean Alliance Association. Robert appreciate the rule of "Soon-Lee" so called as a natural principles in English. It is the essential foundation of my achievements. I believe strongly this karmic relations giving a good result with Soon-Lee. We all face so many challenges but those will go away upon embracing the "Soon-Lee”. I will be a business partner sharing my karmic passion until we both of us feel “We did it". ‘Soon-Lee’, the Korean natural principle of life relates to the essential foundations of my achievements. I strongly believe in the karmic relations by what we put out is what we receive. We all struggle to face challenges in life, but those can be overcome by embracing “Soon-Lee”. Together we can prosper and grow by sharing this karmic relationship.